If you could go back in time and save someone you loved, would you do it? Hannah's ability to time travel has always been something she feared. It was uncontrollable and came with life-threatening risks. However, when Hannah is unable to cope with grief, she decides to use that which had been her enemy. She is going to travel back in time to prevent the tragedy from ever happening. Unfortunately, nothing goes according to plan. Seth finds out about Hannah's intentions and takes measures to protect her. But when they discover that the reality of history isn't what it had appeared, a simple mission to save a life becomes much more complicated. Their intervention has now changed their own future and endangered many lives, including their own. Can they elude their enemies to find the vital evidence they need to fix the timeline? Or will Hannah's choice have an even greater cost than she can imagine? 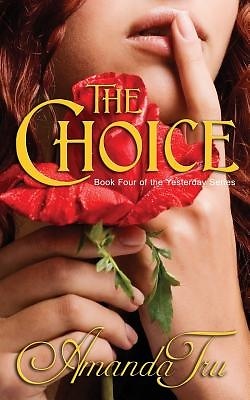 THE CHOICE is Book 4 in the YESTERDAY series.